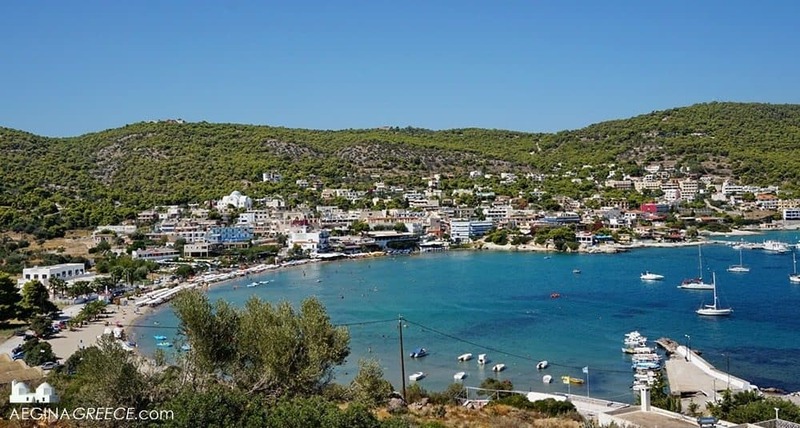 The beach of Agia Marina is the longest sandy beach on Aegina island, its shallow water makes it an ideal beach to visit with small kids. It is awarded with a Blue Flag. 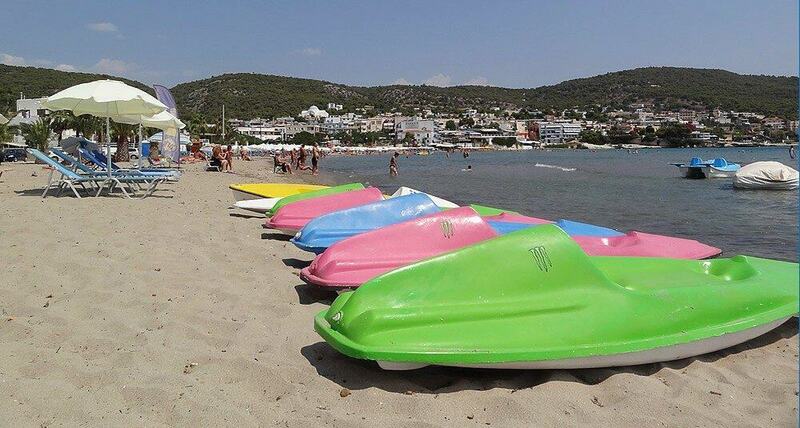 From the middle of May until the end of September you can hire sunbeds with umbrellas and paddle boats. On the beach you will find several restaurants and some beach bars. 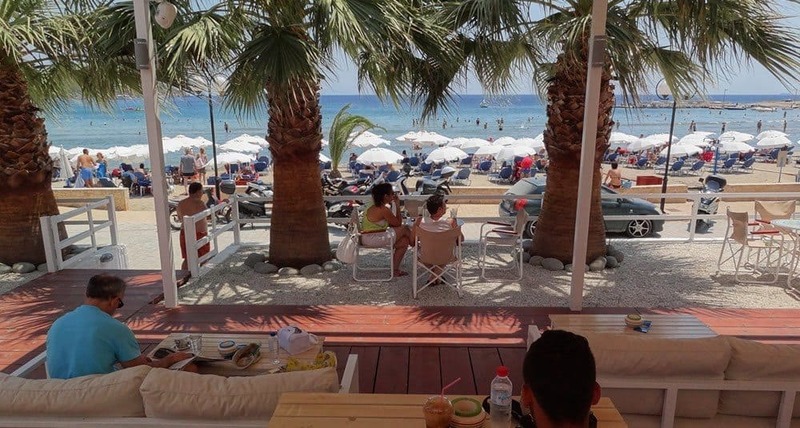 You can enjoy your food right on the beach, like for example at Akrogiali of Pavlos & Lia. 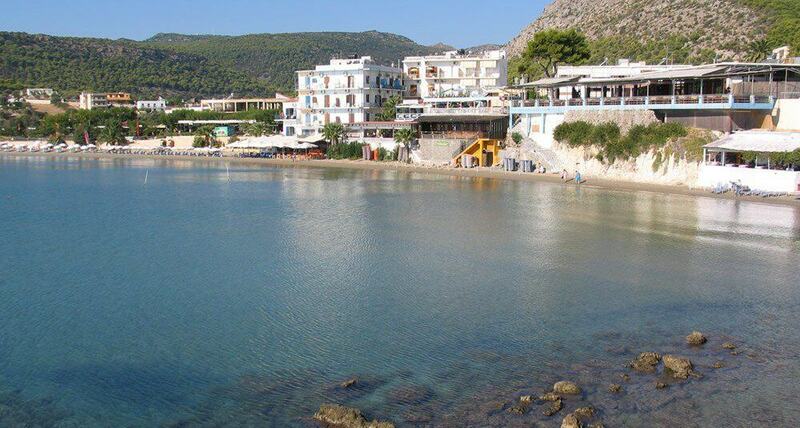 At the end of the beach you will see the small white church of Agia "Saint" Marina, where the village found its name. Every year, on the 17th of July, the church of Agia Marina is celebrating its name day. On the evening of the 16th of July, Agia Marina is really busy. In the afternoon a procession/ "panagiri" is held where people are walking from the big church in the centre towards the small church on the beach. Lots of locals visit the small church to attend the ceremony and light a candle. A market will be held and there will be live music and fireworks in the harbour area below the church. 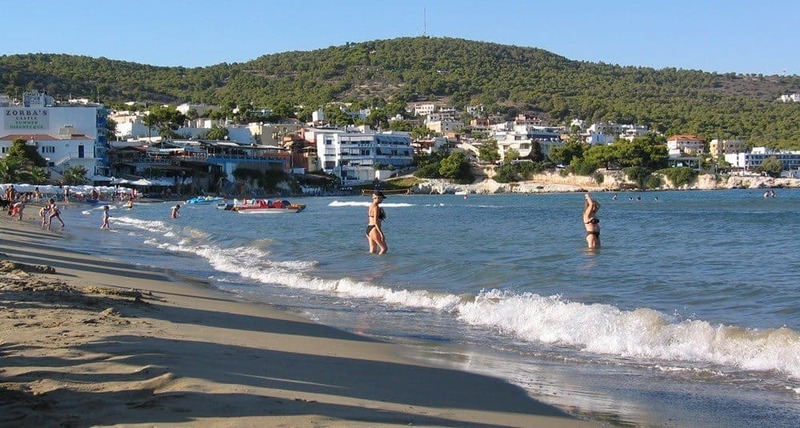 The beach of Agia Marina was one of the first beaches that had been developed for tourism on Aegina in the sixties. 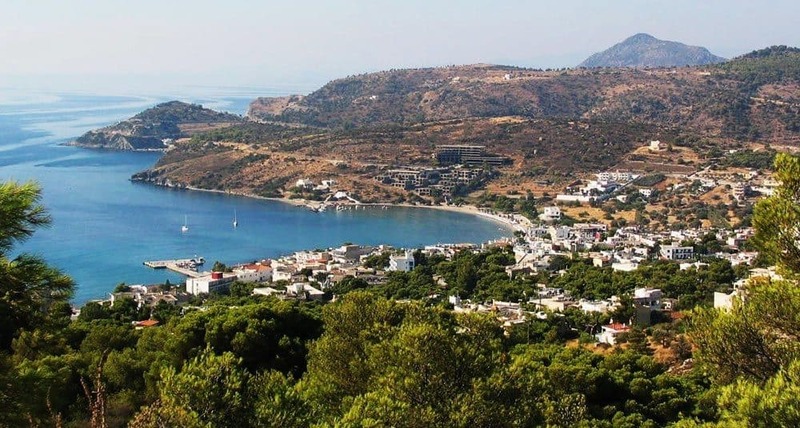 In those days, donkeys were transporting the tourists that arrived by boat from the beach (which had only one taverna and a couple of houses) to the temple of Aphaia and back. 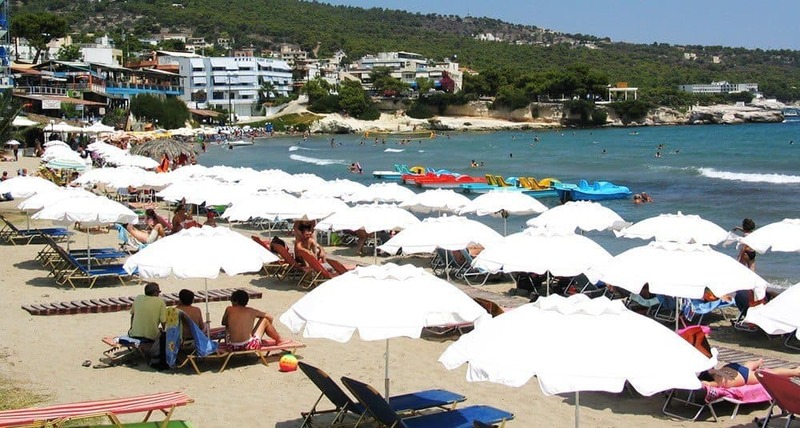 Since that time the beach of Agia Marina has been transformed to the biggest organised one on the island and the village became a populair tourist destination both for foreigners and Greeks. 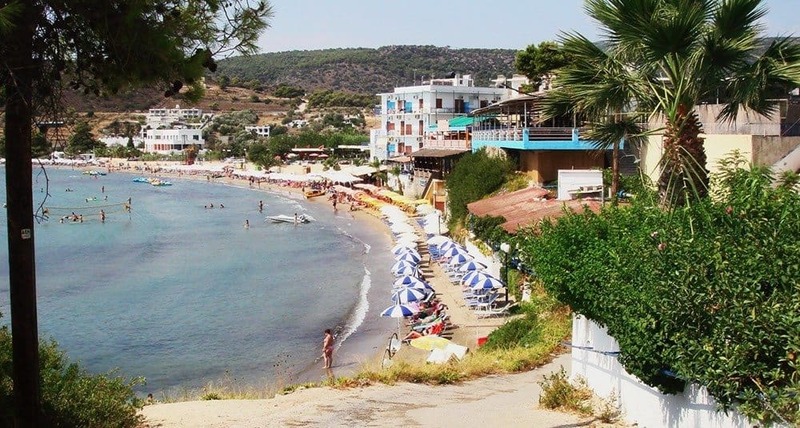 Agia Marina is still a populair holiday village. 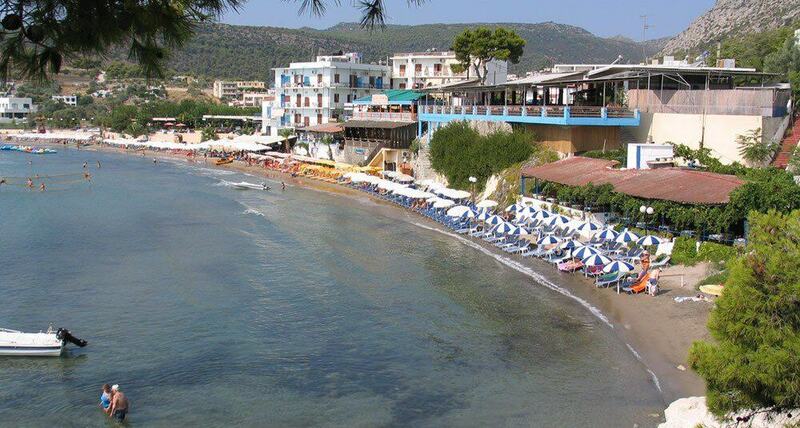 Agia Marina has a very Greek atmosphere as lots of Greeks are spending their weekends & holidays at their holiday homes. 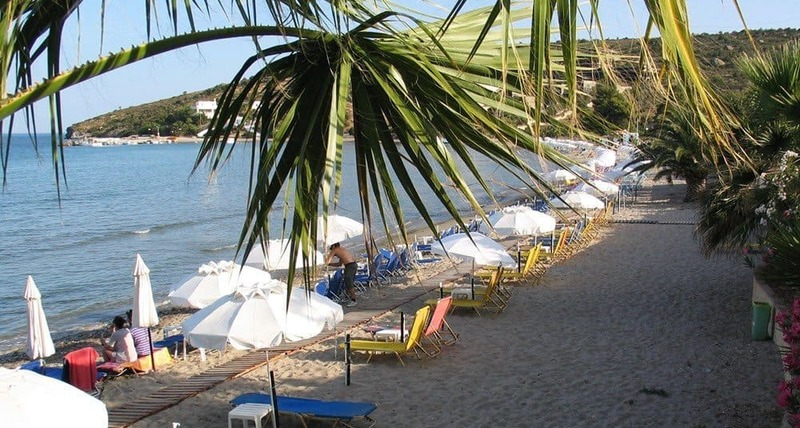 From Agia Marina beach you can watch the sunrise as well as the moonrise. Especially in summer the full moonrise is spectacular. A big red ball is coming out of the sea!